1. Poutine (more on how I discovered its magnificence here). 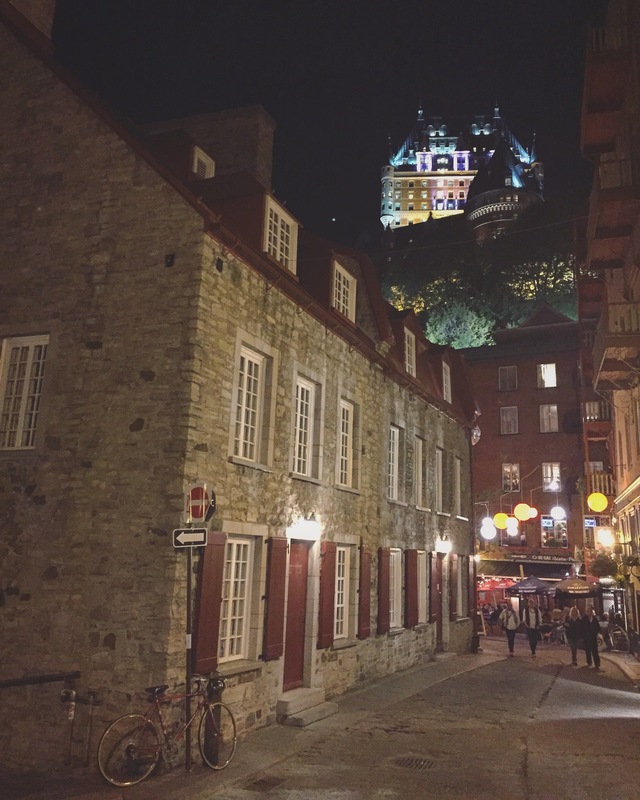 I’ve grown quite fond of Canada as a getaway over the past couple of years after visiting Vancouver and Montréal, so I figured I’d get my dose of European charm by heading over to Quebec for four days to round out my vacation. I know, I know. But seriously guys, Québéc has a lot of great things to offer. One of them being that you get 20% more with your US dollar to CAD. In addition to that, there’s such a diverse variety of adventure experiences, food and culture (at least in Québéc) and juuuuust enough French to make you feel like you’ve left the North American continent. While most people come here to experience the winter charm, I found the summer vibes to be quite enjoyable. In addition to discovering Québéc City, I added in a couple of days in the Québécois countryside, otherwise known as Charlevoix (more to come on that later). YQB – This is the airport to Québéc city and it is SMALL. Like one terminal small. Once you arrive, you HAVE to take a Taxi from the airport into Québéc City (about 20 min ride) and it’s about $30-40 CAD. An Uber X on the way back from Québéc City back to YQB is much cheaper ($18 CAD). I stayed in the neighborhood of St. Roch as opposed to staying in Vieux (Old) Montreal. St. Roch was once a troubled area but apparently has since transformed and gentrified into the new hip neighborhood to hang in Québéc City. When you walk around the Main Street of Rue St. Joseph, you’ll encounter shopping (old & new), multicultural restaurants, bars that are also disguised as boutiques and great microbreweries (microbrasseries) to sip away in. Full of charm. Full of transformation. Seriously, there were moments where I felt like I was walking through Europe. The hilly, cobblestoned pavements and cute Parisian architecture made my cheeks hurt from smiling. 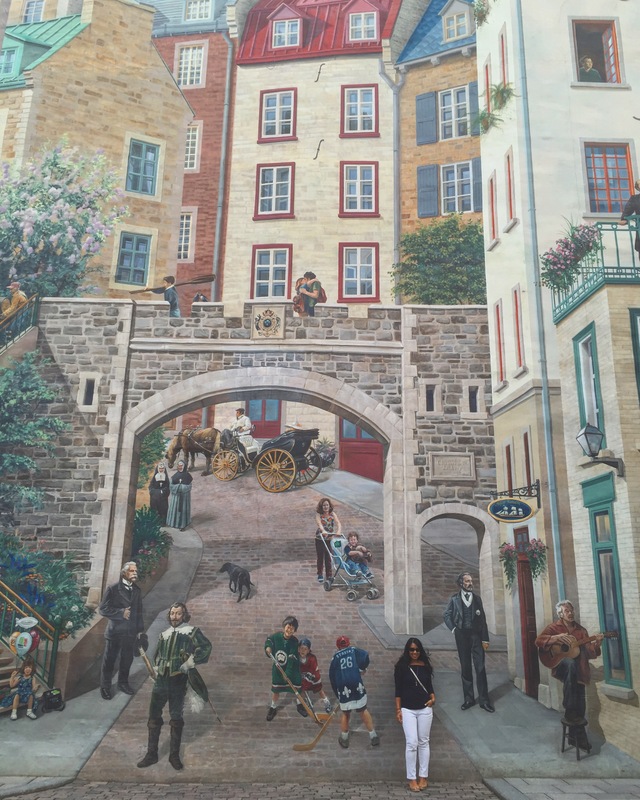 Vieux Montreal is also a World Heritage UNESCO site as the town itself is over 400 years old. Even cuter is the area of Quartier Petit Champlain at the lower base of the town where the sidewalks light up at night with stringed lights and views of Chateau Frontenac. You’ll think you’ve escaped to an old and quant French country town. I actually didn’t get to check this out while I was there but this seemed to be the next areas that locals talked about as an up and coming area with reinvented restaurants etc. When in Quebec you have the option of seeking out traditional French inspired fare or better yet, Québécois cuisine. I was pleasantly surprised by Québécois cuisine as it was the perfect marriage of Old World dishes with New World ingredients and flavor. Whereas the French have Tatare de Boeuf, the Québécois will reinvent that with venison or salmon. There is a lot of care for fresh organic ingredients (sourced from Charlevoix) and the creative expression of the food/producer/artisans is deliciously welcoming. Le Cercle – This place is a combination of Québécois Food + Art + Music. When you walk into this restaurant, expect to be bombarded by modern art on the walls and on screens. After you finish dining on unique Québécois food creations, head next door to live music. Definitely a hip place to be for food & culture. Boulangerie Patisserie Le Croquembouche – Easy stop for breakfast of quiche, croissants or other sweet treats. But seriously, the sweet treats here are endless between pastries, macaroons and gelato. Korrigane – Home to the infamous Maple Beer and a favorite Gastropub of the bustling St. Roch neighborhood. It seemed packed here EVERY night. Be ready to feel like you’ve stepped into a SF Bar with a Seattle vibe and French Canadian locals. Poutineville – On Rue St. Paul offering ONLY Poutine for days. Late night stop anyone? Bar McFly – Bar & Arcade? No really – have a beer and play Pac Man with your friends. Back to the Future style. Echaude – This restaurant is the perfect definition of dining Serendipity. As I wandered Vieux Québéc checking out dinner menus, I stumbled upon this French/Québécois gem on a quieter street in lower Quebec. With a cute patio and warm buzz in the restaurant atmosphere, the menu IMMEDIATELY caught my eye with its Tatare de Boeuf (my favorite French go-to meal). But I was pleasantly surprised when I found out I could do a Tartare trio of Salmon and Beef. The icing on the cake? I met the sommelier who hails from Charlevoix and poured me some off the menu wines to taste. What I also loved about this place was the fact that I heard more French speakers (than English speaking tourists) so I knew I was in the right spot. Paillard – This is a stop many guides will recommend and now I understand why. The moment you walk in you smell BUTTER. Lots of it. In fact if you sit there long enough, your hair will smell like it (I suppose there are worse things to smell like). 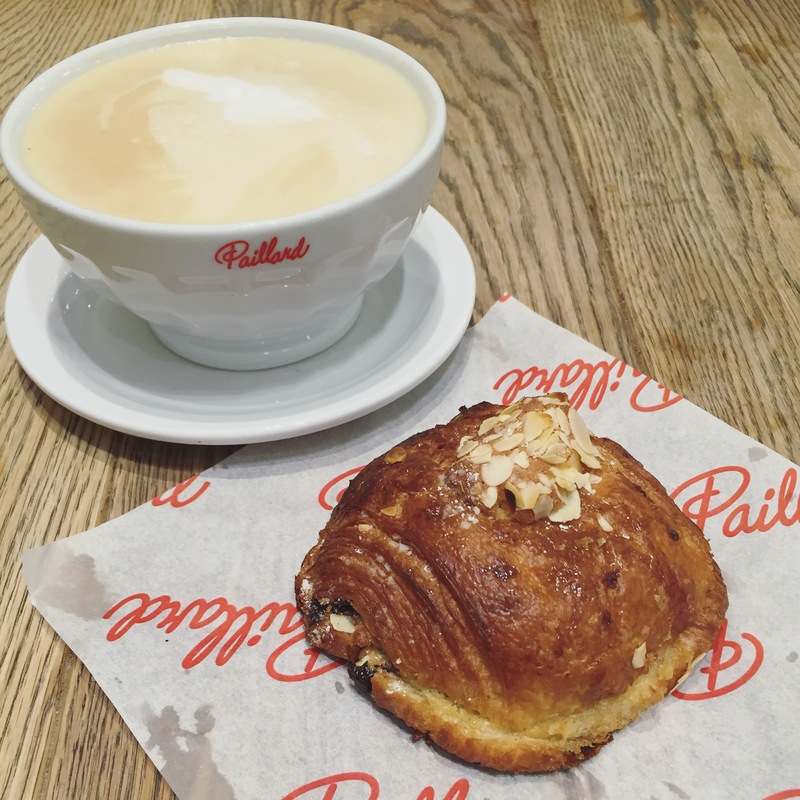 I’ll admit, the lattes here were comme-çi-come-ça but I did enjoy an almond chocolate croissant here! Chic Shack – I don’t know why but the French (& French Canadians) seem to be obsessed with Burgers. I was craving an afternoon Poutine so I headed here to fuel up before walking 10 miles around the city. If you can sit near the window, you’ll get a great view of Chateau Frontenac away from the bustle of the main drag. Le Lapin Sauté – This is a restaurant I actually wished I could try but was packed. The ambience is so quaint and cute and looked great for people watching (probably more touristy) but the menu looked amazing. À la procahine Pêut-etre! 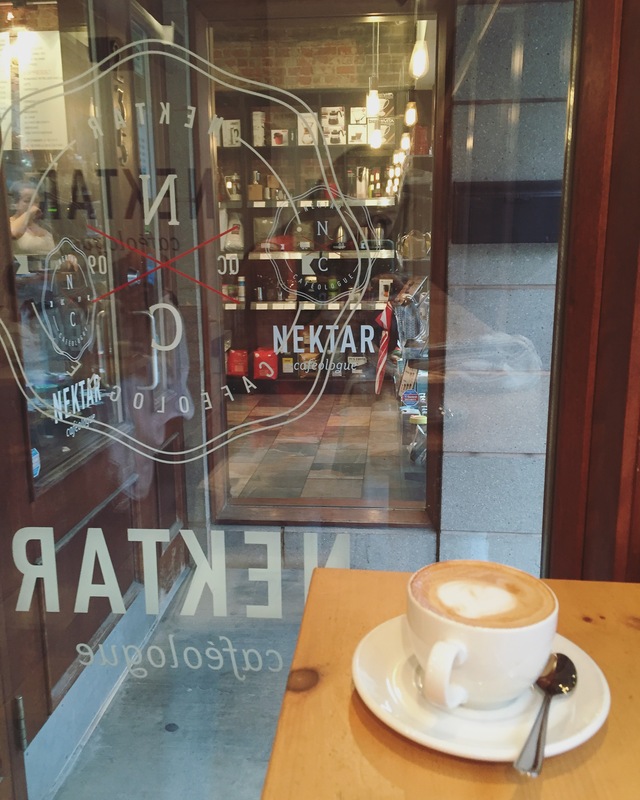 Nektar Caféologue – A great place for a latte (or clean latte with Almond Milk) and a rest. Sit at the window bar to people watch the hipsters and punk rockers that wander Rue St. Paul or cozy up to one of the bar tables and try to read some books in French from their communal stash of books. Cafe Pekoe – Teas, Bubble Teas, Coffees and light snacks make this place a sunny and airy place to rest or write. Located on the newer end of Rue. St. Paul, this cafe is worth just stepping into for its adorable decor. 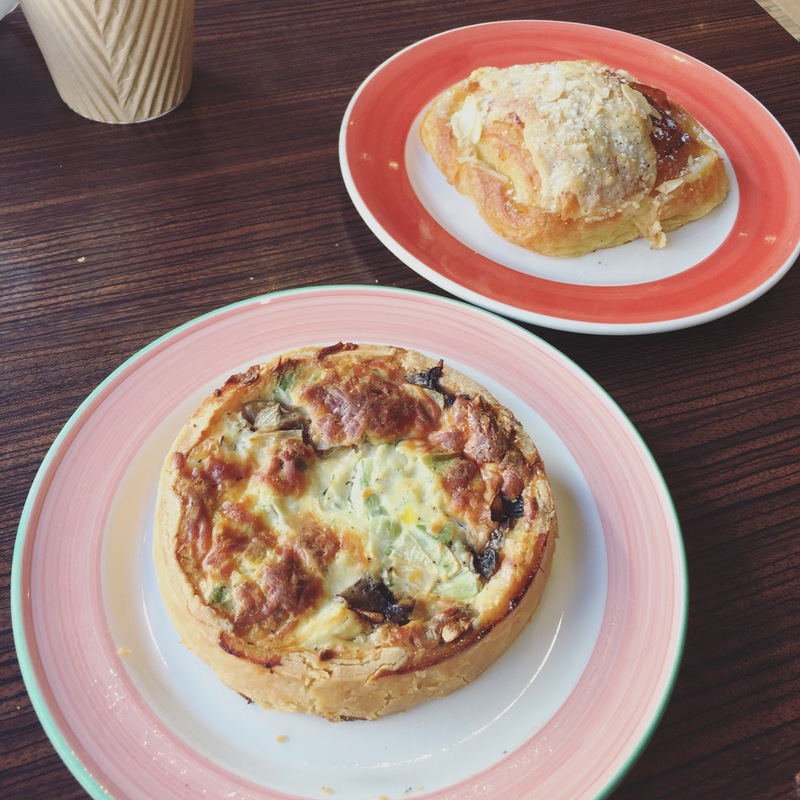 La Maison Smith – If you want a French style Cafe experience complete with bistro tables and people watching, then La Maison Smith is a great option. There are a couple locations in Vieux Québéc but my favored location was the one at the lower end of Quartier Petit Champain. It opens up to a square overlooking the Notre Dame museum and has a great terrace for people watching. If you need to charge up your phone indoors, the decor is perfect for wanderlusters (like me!) with its large wall maps to dream up your next destination. Oh. And Macarons. Don’t leave without a macaron. The Bar at the Fairmont Château Frontenac – Come for moody beats, speakeasy style seats and deer antlers. Yep. It’s a cocktail bar trifecta in the famed Château Frontenac. I think that one pretty much explains itself. Batinse – The cocktail menu here is so creative! Upon seating, you are handed a menu that asks you if you are “Aunt” or “Uncle” (Les Matantes ou Les Monocles). The drinks are so creative, it’s really hard to choose just one! 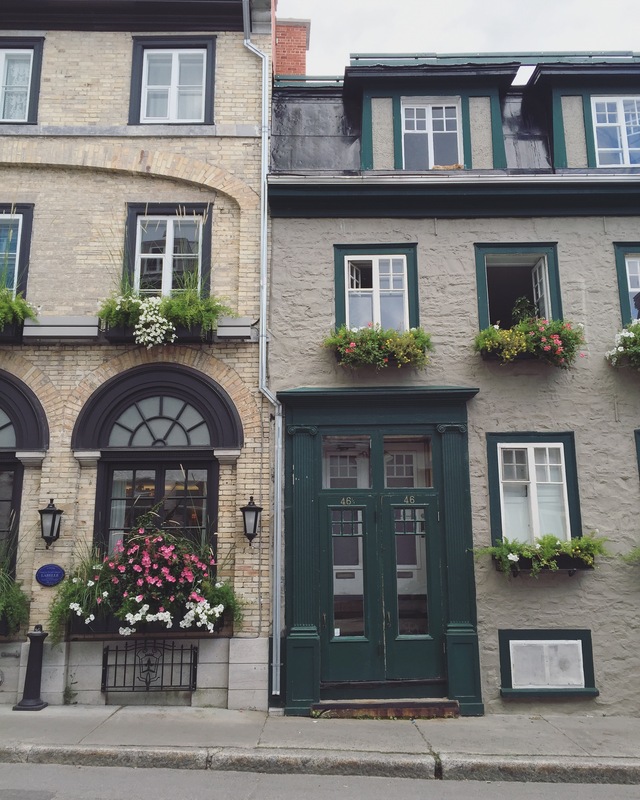 Walk Rue St. Paul from St. Roch into Vieux Québéc – Lined with cute boutiques, restaurants and épiceries, this is a great way to walk into the old city if you’re staying in St. Roch. I stood to listen to him for 10 minutes. Quebec is extra friendly towards street performers and as you walk around the city, you will find art & culture everywhere! Contemporary art provides a dramatic and thoughtful contrast to the old brick walls. 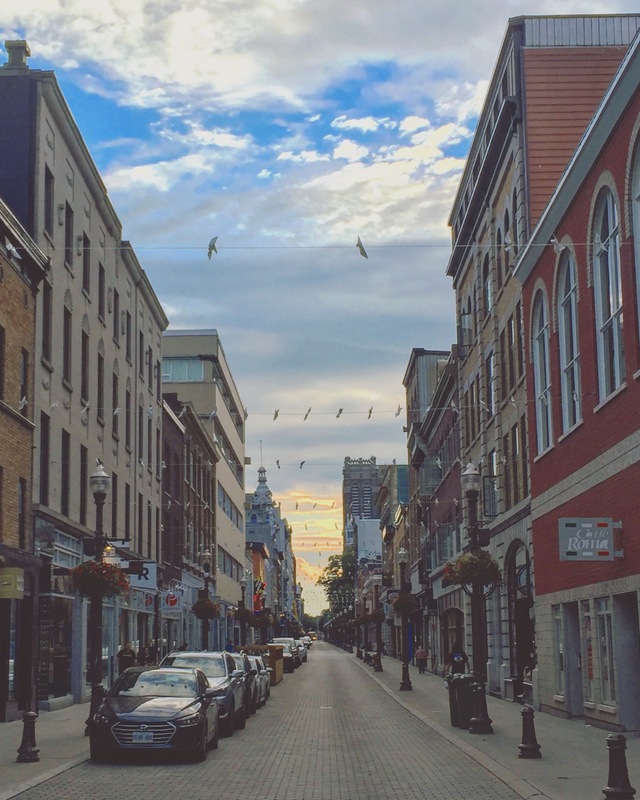 Walk historic Vieux Québéc and Quartier Petit Champlain – Seriously, this is why you come to Québéc City right? To escape the modern world and step back 400 years in time! One of my favorite things to do was just wander down every street, laneway and alley to capture pictures of cute doors, rooftops and flowers. Soak in the silence and sunshine amidst French Literature. Brush up on your French at Maison de la literature – “Ecrire, Lire, Vivre” (Write, Read, Live) is the motto here so of COURSE I had to come here. This Scandinavian decor meets Church building is devoted to Québécois culture and its architecture is just as fascinating as all the French literature that can be found there. Even if you can’t read French, come here to get great pics of sunlight shining through gothic arched windows. Sunrise or Sunset? Splendor either way..
Visit the Churches of the City in St. Roch & Vieux Québéc – While Paris’ famed Notre Dame is the queen of all churches, Quebec boasts several Notre Dame descendants in both St. Rich and in Vieux Québéc. 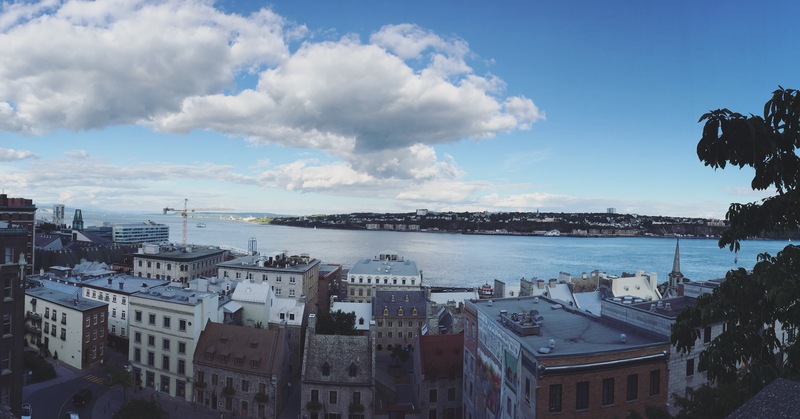 Walk along the waterfront and the Terrasse – The St. Laurent River flows into Québéc and runs along side the old city. From the old city and Terrasse, you an catch beautiful glimpses of sunlight dancing on the water with île D’Orleans in the backdrop. Better yet, grab a baguette and some cheese and park yourself on a bench to take in the aquatic wonders. 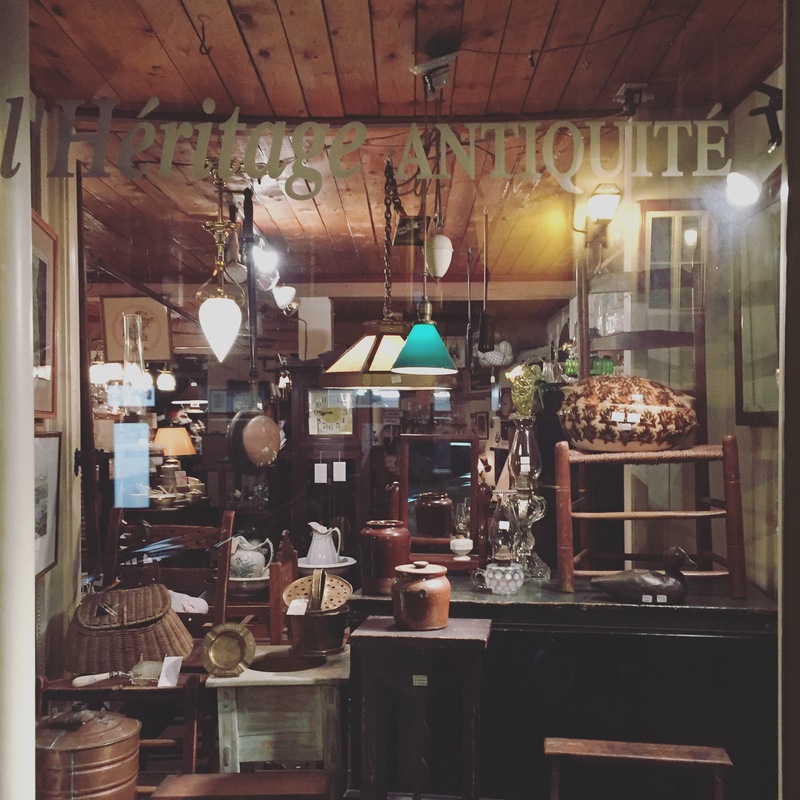 Check out Antique shops on Rue St. Paul in the lower part of Vieux Québéc – If you like the idea of old things (like me) then the quiet Rue St. Paul in lower Vieux Québéc is the perfect place to window shop or immerse yourself in old things and antiquares. Convinced that Québéc city is worth visiting? If you’ve been are there any other fun finds missed? I would certainly be open to visiting Québéc City again! A la prochaine!